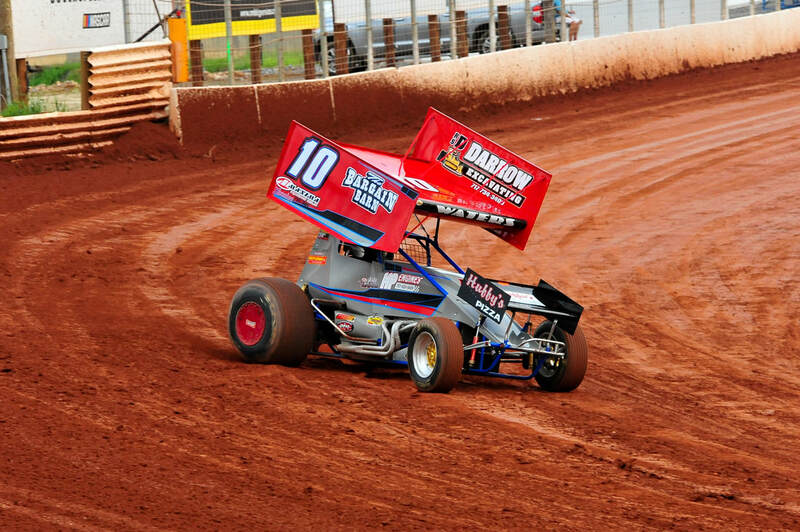 JCW Racing competes in a RaceSaver 305 Winged Sprint car in the Pennsylvania Sprint Series (PASS). Racing on the tough central Pennsylvania circuit, JCW runs at multiple tracks, including Bedford Speedway, Clinton County Raceway, Path Valley Speedway, "home track" Port Royal Speedway, Selingsgrove Speedway, BAPS Motor Speedway, and famed-Williams Grove Speedway. From the first moment Jake can remember, he has wanted to race. Most of the reason is because of his father Curt, who was a mechanic on several cars, starting in 1971. Waters would always go to the shops and the races with him, and instantly felt an intimate connection with the sport. When Waters was old enough, he starting racing go-karts, finding much success within a seven year span. After 76 wins and four track championships, the team shifted focus to the mechanical side of racing. From 2000-2007, together with Waters' father, they worked on four different teams, scoring nine wins in the sprint car ranks, while also working on Dave Blaney’s two-seat sprint car. In 2008, efforts were shifted back to racing a 305 winged sprint car in the tough and challenging central Pennsylvania ranks. After three years and some success, the team feels they have the pieces in place to become a strong force in the sprint car world. In order to achieve this, we need assistance from several dedicated people. Since 1971, Curt has worked on sprint cars, developing an accomplished track record with some key names in the industry. From 1971-1980, Curt worked with Keith Kauffman, winning over 50 features on the tough central Pennsylvania circuit. Some of those wins came against the World of Outlaws, All Stars, and some of the biggest names and races in the area. During the 1980's, he worked with several teams, working alongside several accomplished drivers, including Dave Blaney, Jac Haudenschild, Jim Nace, and Kenny Jacobs, among others. In the mid-1990's, Curt shifted focus to forming JCWRacing’s go-kart team with Jake, which creating great success, which has continued to this day. Rich started with JCWRacing at the end of the 2014 season. Since his involvement, the results steadily improved along with the communication between team and driver. 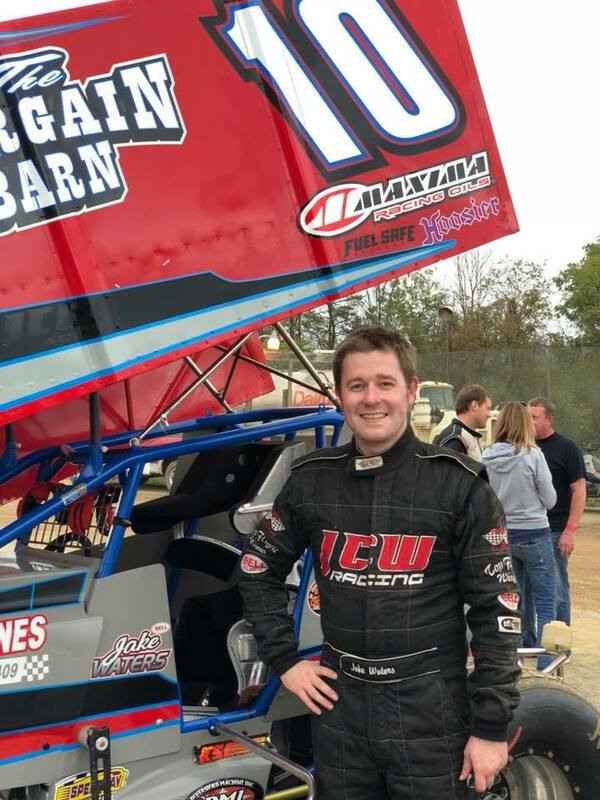 His commitment to the sport goes back to the early 2000's when he was a crew member for local now retired racer Clark Simonton, Jr. Rich's experience, attention to detail, and passion for sprint car racing is seen every day the JCWRacing 10 is unloaded. Blain is the newest and youngest member of our organization. Just reaching the teenager status, he has been willing and eager to jump in and learn as well as perform any tasks given. Whether its post race maintenance, or raceday mud scraping, we expect big things from this growing gentleman in time.